Susanna Moodie National Archives of Canada, C-007043. Public Domain. 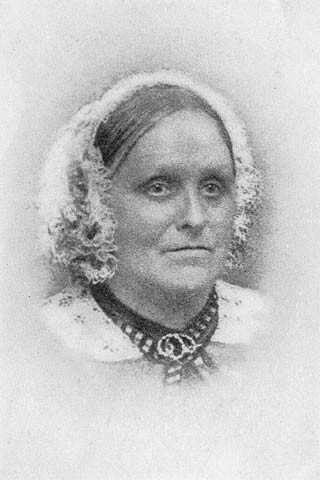 Often compared to her sister, Catharine Parr Traill—who published The Backwoods of Canada: Being Letters from the Wife of an Emigrant Officer, Illustrative of the Domestic Economy of British North America (1836) and The Female Emigrant’s Guide (1854)—Moodie’s work is sharply critical of the hardships she and her family faced in the process of creating a home for themselves in the forest. As Laura Moss and Cynthia Sugars note, while Moodie clearly writes about enduring isolation, loneliness, privation, and adversity, she also writes about the sublime beauty of her adopted home and the pleasures of living there with her growing family and her husband (208). It is just such ambivalence that still makes Moodie’s work important to read today. Tone: What is the tone of Roughing It ? How much does this change over the course of the book? What is the predominant attitude Moodie displays toward Canada? How is the narrator both a participant and an observer? Language: Discuss the varied language used to describe Canada. Note how some sections are poetic, laudatory, and even loving, while others are warning and spiteful. Emigration: How does Moodie present her experiences of emigration to Canada? How do her perceptions change as she shifts from being an expectant voyager to a hard-working settler? Locate key moments in the text in which her perspective shifts. Why is it important that she refers to this as emigration rather than immigration, an act of leaving rather than arriving? Frame: How does Moodie frame her experiences? Consider how she introduces her episodes with broader reflections on society, disease, spirituality, and memory. How do these introductions situate the ensuing narrative, and how do the stories illustrate, inform, or question these introductions? Audience: Consider how Moodie might be crafting her stories for an audience of British readers. Note moments when she reflects on the similarities and differences of life in Canada from life in Britain.